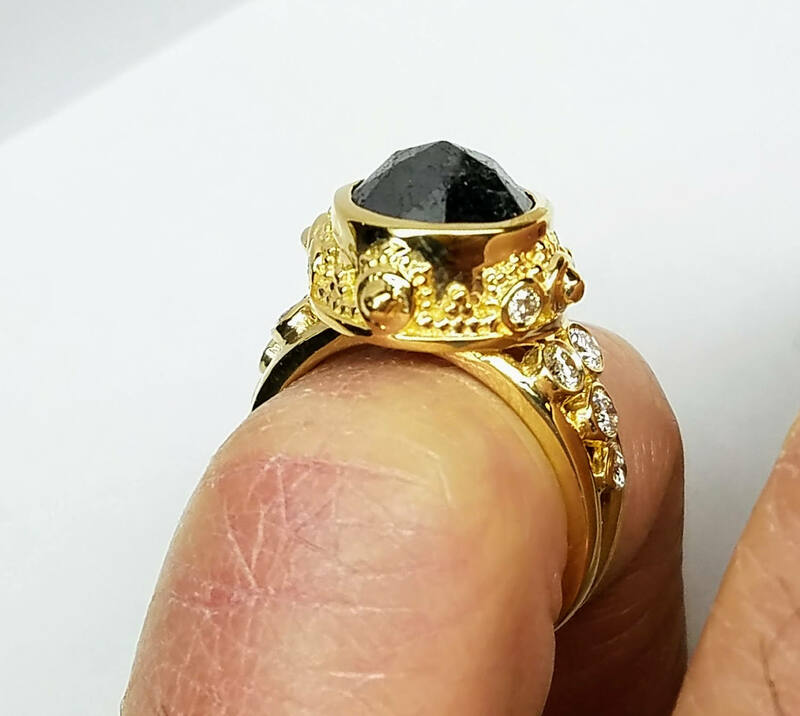 Black diamond engagement ring, rose cut black diamond ring, cocktail ring, rough diamond, raw diamond. 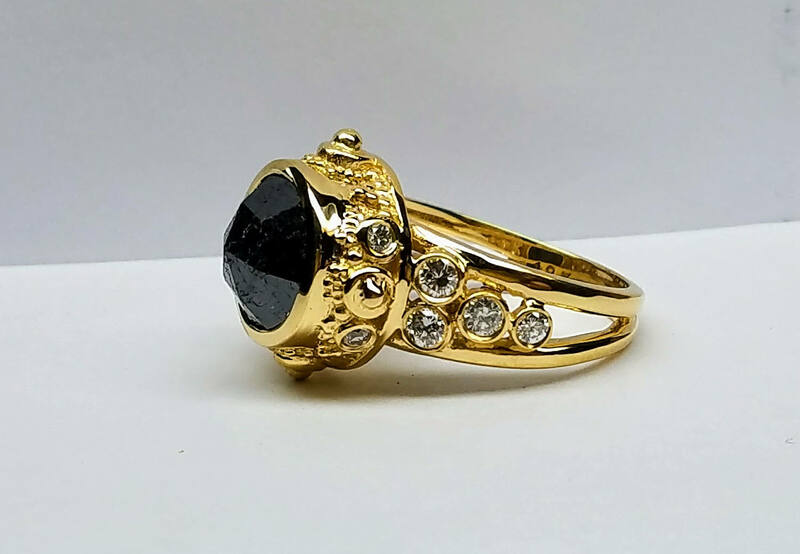 This Rose cut Black Diamond Ring has a stunning 3.62 carat Black Diamond artistically set in a sculptural design of 18 karat yellow Gold. 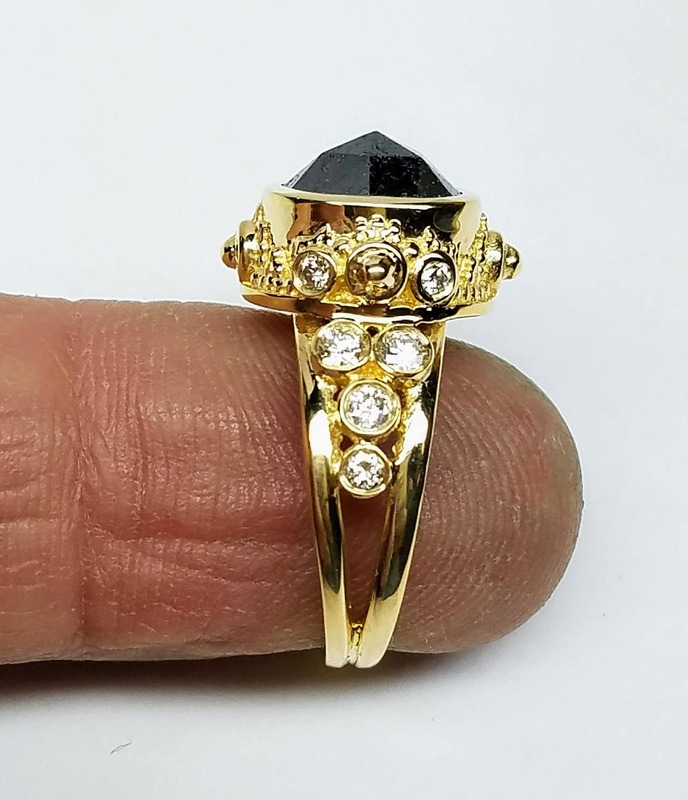 This unique, non traditional style statement ring is very comfortable to wear making an exceptional choice for engagement, wedding, anniversary or fashion statement. 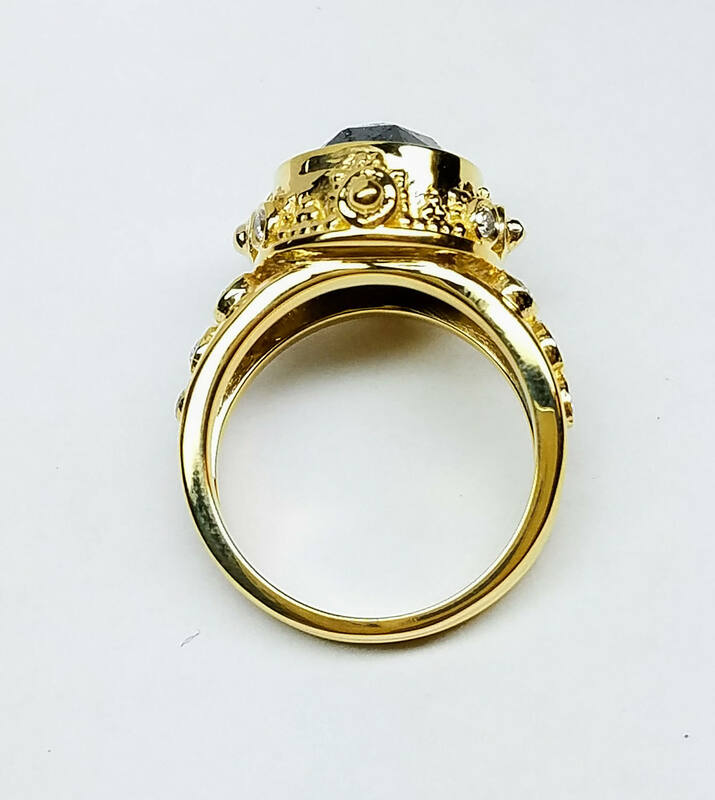 The ring is flanked with 12 diamonds totaling 0.50 carat, G in color and VS in clarity. 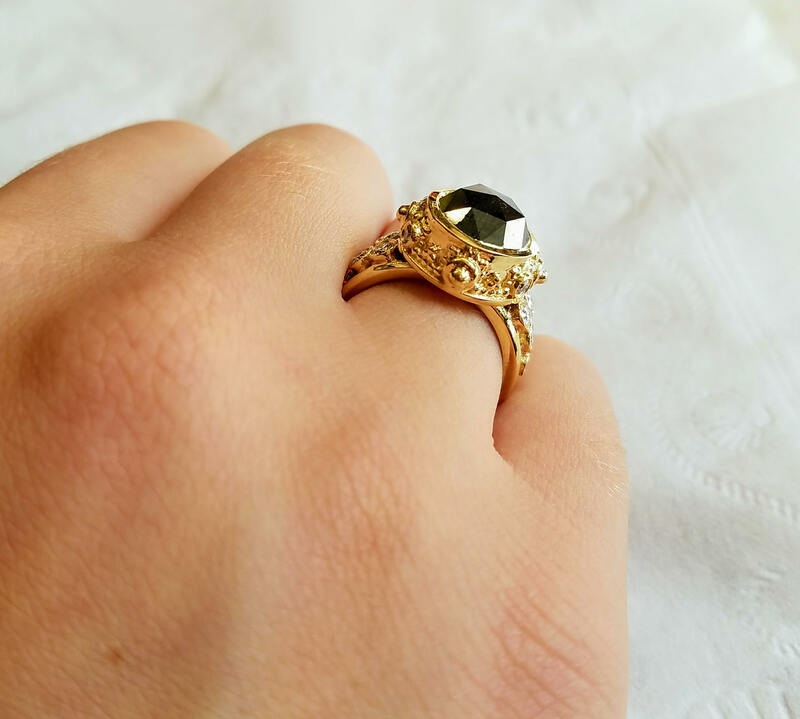 The ring features a beautiful black round rose cut diamond with super unique inner marbling. The diamond is a top quality natural diamond and has been set in a low profile bezel setting. This diamond has facets on top to give it glimmers of sparkle. 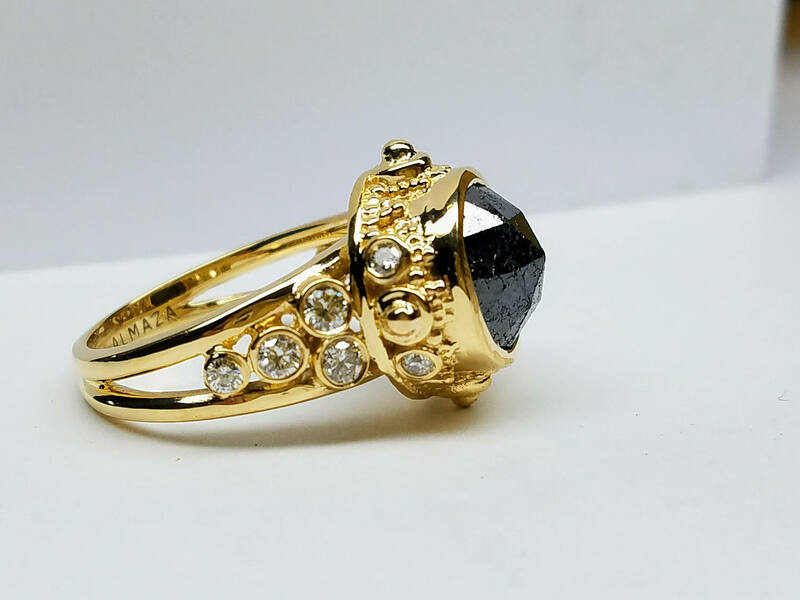 Rustic diamonds are diamonds that are heavily included. Perfect in their imperfections. 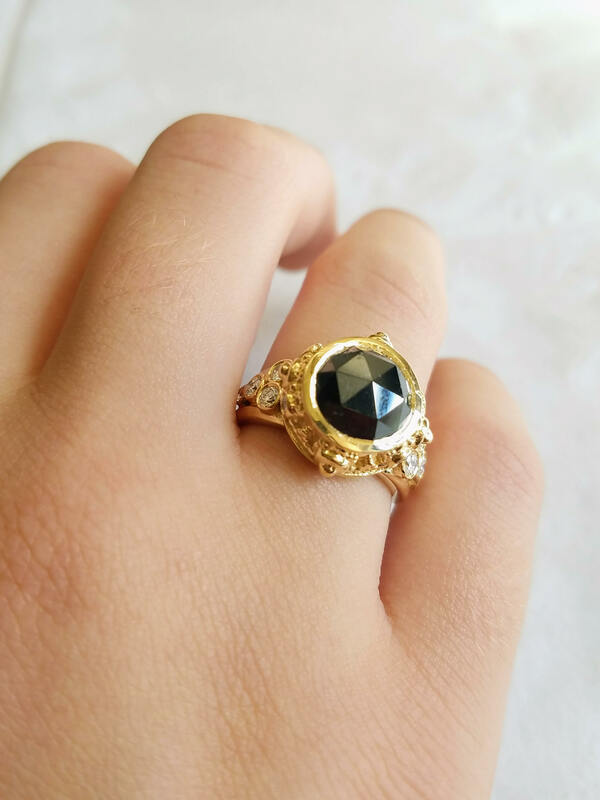 The look is a kind of cloudy, smoky stone touched with streaks of contrasting color. If you are looking for a rustic, raw natural unique look grab it before it's too late.